If you are an Old Navy Cardholder you can shop on 5/14 and get flip flops for just $1! You can use this 50% off any one Regular Priced Item at Old Navy coupon on the same day! Redbox is offering a movie code for the weekend that will make your rentals just $.50 each! Enter code K2M52KH when you rent online or at any Redbox Kiosk! Eating out? Grab a coupon! Coupons to take shopping this weekend! TGI Friday's is offering a $10 Gift Card when you purchase two items from their Better with Brew menu. These are menu items made with beer and include appetizers and entrees. I saw this on a national TV commercial last night. Ordering two appetizers may be a pretty good deal to get the $10 card. There is a $5 off $15 TGI Friday's coupon available through June 30 and you can get a FREE appetizer when you join the Give Me More Stripes Rewards program! Outback Steakhouse•FREE $10 Bonus Card when you purchase a $50 Outback Steakhouse gift cards. Coastal Contacts is giving away 10,000 free pairs of glasses today (May 11, 2011) at 12 p.m. EST. To get the free code, you just have to click on the “Like” button on their Facebook Page and then click on the “Free Glasses” tab on the sidebar. 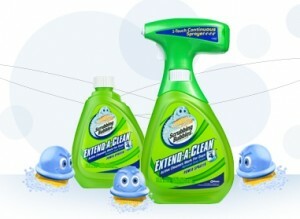 There is supposed to be a giveaway of Scrubbing Bubbles products sometime today on Facebook. If you like Arby’s on Facebook, you can get a coupon for a free Chicken Salad sandwich with purchase of a 22oz Pepsi. Regal Entertainment Group is offering two coupons for the movies this weekend on FACEBOOK. This weekend choose between $1 Popcorn or $1 Soft Drink (as with ALL of our Facebook coupons, they are located on the 'Exclusive' tab and available for print until Friday at 6pm PST)! Two years to LEGO magazine FREE! Head over to the Weis Facebook page to print a new batch of coupons, good from May 8th to May 21st, 2011. The coupons include a $5.00 off $50.00 purchase, according to Forthemommas.com. haagen-dazs.com offers Häagen-Dazs® | Free Cone Day, May 10th (4PM - 10PM) for Free. Redplum has a new $2/1 Neutrogena Suncare coupon available. Use this coupon at CVS, beginning 5/15 and score two sunscreens for $.99 each! Dont forget that Rite Aid also has these patches on sale for $5 this week, so FREE with coupons! Since it is a Bricks.com coupon link, hit the back arrow at the top of your browser TWICE once the print icon shows up to get a second print! 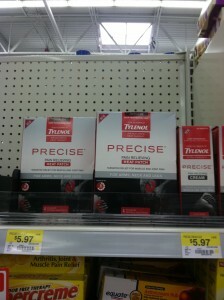 Walmart has Tylenol Precise pain relieving patches for $5.97. Use the $5/1 Tylenol Precise coupon from this Sunday's 5/8 SmartSource or the $5/1 Tylenol Precise printable and pay just $.97 each. Or get a price match to receive them free! ﻿You’ve got a special opportunity to SAVE on 5 great items you’ll love for summer! TUESDAY, MAY 10, beginning at 8:01 p.m. (EDT) visit the Thirty-One website to purchase any of these items for 31% OFF! The sale only lasts as long as the products…when they’re gone, they’re gone! So log on at 8:01 p.m. (EDT) and grab ’em up! It's warming up and that calls for a frozen drink at McDonalds! Snag a McDonalds Coupon for $1 off Frozen Strawberry Lemonade, Frappe or Real Fruit Smoothie! The coupon is good on any size drink through June 15! Please allow 10-14 weeks for your first issue to arrive! Makes a perfect gift for those who are getting ready to be married! Head over to Tanga and order using code WEDDING to drop the price to $3.99. Walgreens have some great deals this week, better than the other drugstores in my humble opinion. Thanks to Myfrugaladentures.com for figuring them out! You can find the full list Here. Neat deal on Eversave today! Today's Save: Catch a day at the ballpark with two 100 level tickets to a Camden Riversharks home game in the 2011 season . Soap.com offers 50% off One Item for Natural & Organic Products ($15 max) for new customers when you enter code NATURAL50 at checkout. Shipping is free if you spend $25 or more. sale on adapted computer games! This site has computer games that can be adapted and they are running a SALE! From only US$8.90 (usually US$89.00). Nanogames has adapted 30 fun games (arcade games, memory games, logic games and puzzle games). These interactive games are extremely flexible and accessible. Using the standard settings, all Nanogames will play like typical computer games. Experienced gamers will be able to play them comfortably. But, unlike most computer games, Nanogames are extremely flexible and if the player needs to use alternative controllers or for the games to be much slower or easier to play then Nanogames can do that too - easily. ◦Easily used with Touchscreens, Speech Recognition, Headmouse and other alternative access.